Pediatric Dentist in Birmingham Protects Little Athletes! If your child is a student athlete, there are a few things that you know about them: they live, breathe, and eat their sports. These activities are more than recreation for them, it’s a way of life! Naturally, you do your best to support them through every venture as any parent work. Sometimes you’re required to bring snacks for the whole team during tournaments while other times you just need to provide moral support after a tough loss. You even invest time and money into finding their perfect protective gear to match their team colors, but have you put any thought into whether they are protecting their teeth while on the field? Learn more about why custom mouthguards are a critical piece of athletic protective gear that should never be left out when getting ready for the season in this week’s blog post. 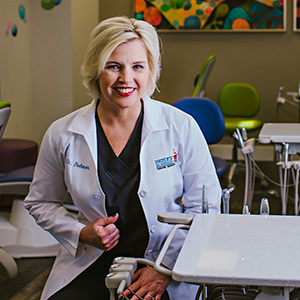 Your pediatric dentist in Birmingham wants your little one to be successful, too! Why Should Every Student Athlete Have a Custom Mouthguard? If you don’t know what a custom mouthguard is and how they can help your child, don’t worry—we’ve got you covered! Custom mouth guards are plastic devices that fit perfectly into your child’s mouth. Since they are customized to your little one’s teeth and gums, they can protect your child from a variety of dental accidents when your child wears them during their games and practices. The custom mouthguard creates a barrier between the upper and lower teeth to prevent teeth from grinding from nervousness and stress during the game. Plus, this protective barrier can protect teeth from sudden impact. It also protects the mouth from objects that could hit the mouth, like a flying soccer ball or another child’s flailing elbow. Gear Up for The Upcoming Season Now! Although there are many sports that require players to wear a mouthguard, getting one from your pediatric dentist may offer your child a few more benefits than the general over-the-counter mouthguard. Every mouth is different, so your mouthguard should be different from everyone else’s as well. Generalizing your child’s mouthpiece could lead their jaw to become affected during a dental accident on the field or not protect their teeth enough when something suddenly impacts their mouth. Custom mouthpieces are made just for your child’s teeth. This is especially important if they have an orthodontic treatment that they need to protect! Contact your local dentist and make sure that your child is all ready to conquer their sports season today. Dr. Rohner works with student athletes all the time and is familiar with how they can become very passionate about their sports and activities. 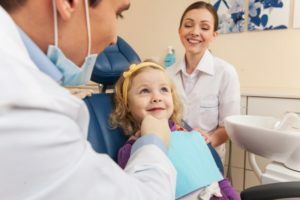 Unfortunately, their dental care isn’t at the forefront of their mind, so our office invites parents to take initiative in protecting their little one’s teeth. Contact us today to get started! Comments Off on Pediatric Dentist in Birmingham Protects Little Athletes!